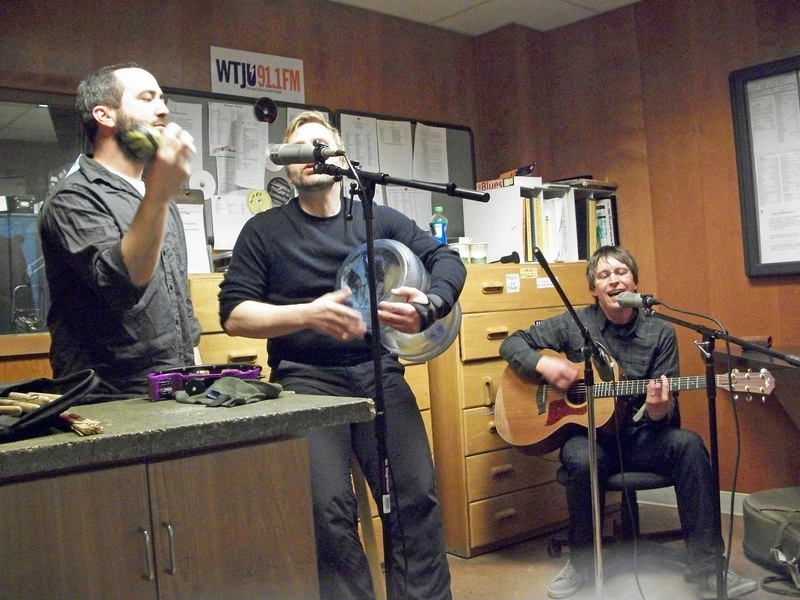 In town for a concert, Justin Roberts and two members, Liam Davis and Gerald Dowd, of the Not Ready For Naptime Players stopped by Tell Us A Tale. In addition to playing a few live tunes, they also chatted about their time on the road, their recent trip out to Los Angeles for the 2011 Grammy Awards (for which Justin was nominated for Best Musical Album For Children), and their missing bandmates, Jacqueline Schimmel and David Winer. The interview will be posted at our Audio Page some point soon. In the meantime, it will be available for streaming at the WTJU Tape Vault until 19 March, 2011. To hear the stories below, visit TellUsATale.com, where they will be available in RealAudio through Saturday, 12 March, 2011.